My Experience of the walk. 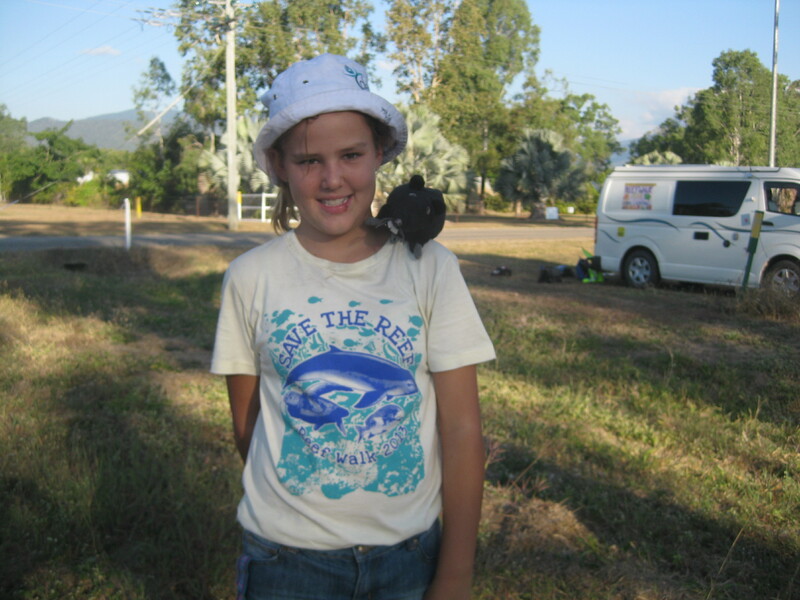 Hello, my name is Taylah Johnson and I joined the Reef Walkers to walk from Townsville to Alligators Creek. It started off easy and I thought I could definitely make it to Alligators Creek easy, but it turned out it isn’t as easy as it looks. Six kilometers walking pace, takes about an hour. When walking an hour it’s really hard. I enjoyed the walk but it was tiring after a while. There were a lot of trucks and cars that beep and wave at you. While I was walking there was a really big truck and it lifted me off my feet and I screamed, my cousin Aussie could hear me from down the front, it was funny though. That is my view of how the Reef Walk from Townsville to Alligators Creek went. Thank-you June and the rest of you for letting me join for the day, and hope the cause of this walk becomes true.